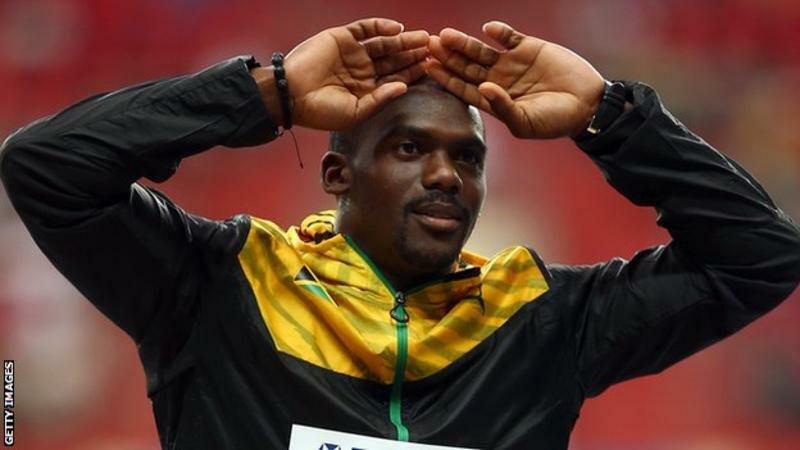 Usain Bolt has been stripped of one of his nine Olympic titles after one of his Jamaican 4x100m team-mates, with whom he won gold at the 2008 Games, tested positive for a banned substance. The world’s greatest track-and-field star can no longer lay claim to the title of “triple-triple” Olympic champion, after Nesta Carter was caught out in the reanalysis of urine and blood samples from the Beijing Games. Carter, the sixth fastest 100m runner of all time, ran the opening leg of the Olympic final eight years ago as Jamaica stormed to victory in a then world-record 37.10sec, helping Bolt to a clean sweep of sprint titles as he burst onto the global stage at his first Games. However, news emerged last summer that Carter was on a provisional list of 31 athletes who failed a retest of their doping samples, which took place using the latest scientific techniques in order to weed out drugs cheats ahead of Rio 2016. The Jamaican did not compete in Rio and has been fighting to clear his name, but the International Olympic Committee on Wednesday confirmed his sample had tested positive for the prohibited substance methylhexaneamine. All four members of the Jamaican relay team – which also included Michael Frater and Asafa Powell – have now been stripped of their medals from Beijing 2008, ruining Bolt’s perfect Olympic record of 100m, 200m and 4x100m triumphs from three Games. Original 4x100m silver medallists Trinidad & Tobago are now likely to be upgraded to gold, with Japan boosted to silver and Brazil bronze. Speaking last summer, Bolt described the Carter situation as “heartbreaking”, but said he would have no problem giving back a medal if the positive test was confirmed. Read original report at Telegraph.